Director Doug Liman’s sci-fi actioner Edge of Tomorrow was a big hit with critics when it hit theaters earlier this year. 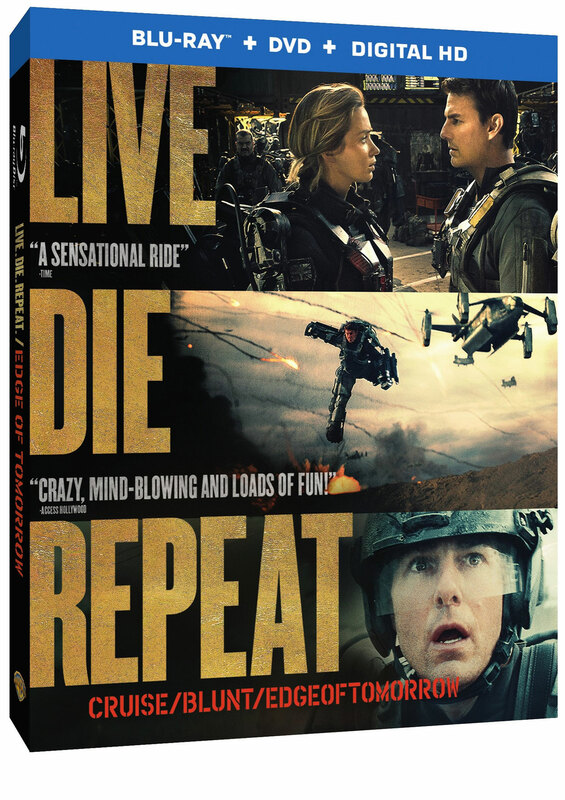 Now, Warner Bros. Home Entertainment has announced that you can now Live, Die, Repeat from the comfort of your living room when the film lands on Blu-ray 3D Combo Pack, Blu-ray Combo Pack, DVD and Digital HD October 7. Tom Cruise and Emily Blunt headline the Warner Bros. and Village Roadshow production, which was directed by Liman from a screenplay by Christopher McQuarrie and Jez Butterworth & John-Henry Butterworth, and based on the novel entitled “All You Need is Kill” by Hiroshi Sakurazaka. Edge of Tomorrow takes place in a near future in which an alien race has hit the Earth in an unrelenting assault, unbeatable by any military unit in the world. Major William Cage (Cruise) is an officer who has never seen a day of combat when he is unceremoniously dropped into what amounts to a suicide mission. Killed within minutes, Cage now finds himself inexplicably thrown into a time loop—forcing him to live out the same brutal combat over and over, fighting and dying again…and again. But with each battle, Cage becomes able to engage the adversaries with increasing skill, alongside Special Forces warrior Rita Vrataski (Blunt). And, as Cage and Rita take the fight to the aliens, each repeated encounter gets them one step closer to defeating the enemy. Edge of Tomorrow will be available for streaming and download to watch anywhere in high definition and standard definition on their favorite devices from select digital retailers including Amazon, CinemaNow, Flixster, iTunes, PlayStation, Target Ticket, Vudu, Xbox and others. 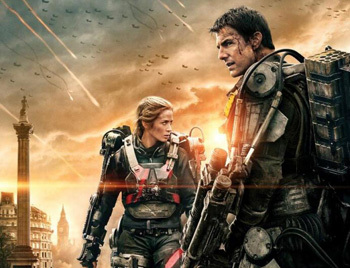 Starting October 7, Edge of Tomorrow will also be available digitally on Video On Demand services from cable and satellite providers, and on select gaming consoles.